Sewer backflow valve is a very useful device for protection of your home from the sewer backup. Since much of the rain water still goes to the sewer, it can overflow sometimes, and flow back to houses through the sewer and drain pipes. Sewer backwater valves (this is how backflow valves are generally called) are usually installed by a plumber. In the city of Toronto, where there are a lot of areas prone to flooding, installation of the back water valves are covered by the subsidy. So, we drill your basement floor, find correct place for a backwater valve, cut into the drain pipe, and install this device. It has a flap ( that is why people call them flap or check valves) which is usually open under the pressure of water because water always flows the same direction - out of your home. 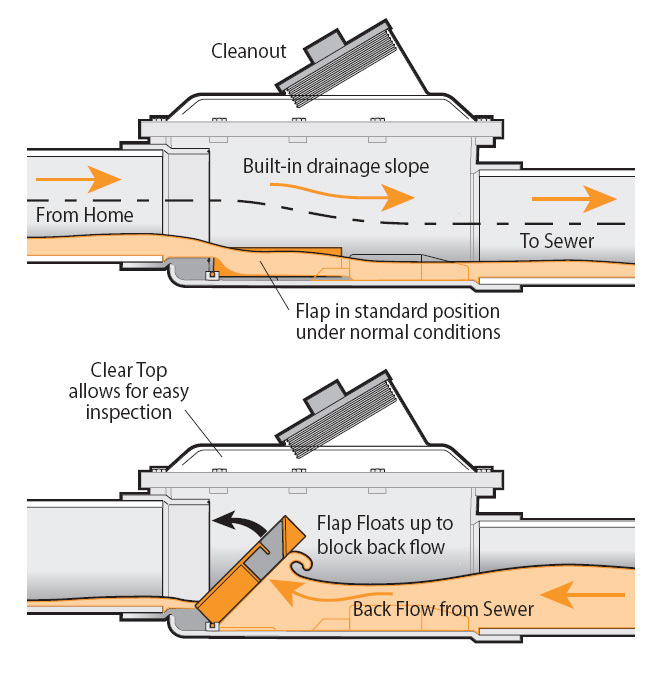 Once the sewage starts flowing back in, and reaches your drain pipe, the flap closes and your backflow valve protects your home. There are many manufacturers of sewer backwater valves and quite a few types available on the market. It's always good to get a backflow valve with transparent lid in order to see what's inside without opening it. Some backflow valves come with alarms. They differ in tightness of their seals and complexity of operation. The easiest are check or flap valves; more complex are gate valves. Your plumber, if he is licensed by the city of Toronto, will know the procedure for getting a subsidy, and will discuss with you what type of approved valves fits your home. 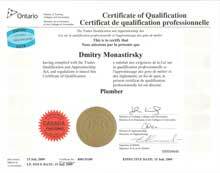 Toronto's A to Z Plumbing & Drain is a leading installer of sewer backwater valves. Please call us - and as a sign of our gratitude, get a free home plumbing inspection with order of backflow valve installation.